My roses are in hectic bloom and vegetable seeds are sprouting in the back yard. My cousin Victor Rosenbaum, a concert pianist, was practicing at my house for a concert tonight in a Southern California university, and as I listened to his program of Haydn, Beethoven, Schubert, and Chopin, and, given the season, I thought once again of the astonishing flowering of Romantic music during the late 18th and early nineteenth centuries in Europe, the repertoire most favored by my cousin and that continues to beguile my own imagination. I thought too of some hard things I have said about self-styled “traditionalists” who believe that “secularism” is leading us down the path to perdition. Recall the film A Clockwork Orange, with a script by Anthony Burgess, and based on his novel, but directed (some say misdirected and botched) by Stanley Kubrick. In the film, the thuggish street urchins who killed at random were seemingly inspired by Beethoven’s Ninth Symphony. * I was frightened and bewildered when I saw the movie long ago, and disappointed that it was considered to be a triumph of vanguard movie-making by a John Cage-influenced composer teaching at California Institute of the Arts (1971). Today I am not so shocked. The Pelagian-Promethean impulse, though essential to the understanding of such ambivalent writers as Goethe or Herman Melville, is now discredited by leading intellectuals and politicians as Jacobin, or Napoleonic, and leading ineluctably to catastrophic mob rule or the debauched tastes of “mass society.” Also, there is a clear track from the Jacobins to Nazism and Communism in the writing of some other figures on the Right, despite an entirely different genealogy described persuasively by Frank E. Manuel in his The Prophets of Paris (1962): Turgot, Condorcet, Saint-Simon, Fourier, and Comte. I am thinking of some of the traditionalist figures on the Right criticized in prior blogs: Glenn Beck, Bill O’Reilly, and Newt Gingrich, who claim that our Constitution was God-given and hence not the conscious creation of the Founding Fathers, themselves building upon such prior intellectuals as Spinoza, Montesquieu, or other figures of the European Enlightenment who had theorized a republican form of government. Yet, if one reads the correspondence of John Adams, Abigail Adams, and Thomas Jefferson, it is clear that they viewed their efforts at inventing a republic as experimental. And like the New England radical Protestants who preceded them, they understood that their efforts would be nil without universal literacy. Do those influential figures of the Right (mentioned above), while advocating “free will” and “personal responsibility,” diminish the power of human creativity by attributing all of our Constitutional liberties to the will of God? Do our young people even experience European Romanticism and/or the related literary movements described today as realism and naturalism, all of which, with modern technology in the reproduction of great music and literature, had appeal to a larger public than the aristocracy that originally paid for them? *Since writing this blog, I read the Burgess novel. It is a tour de force in that Burgess invented a special language for Alex the narrator, drawn from Slavic tongues. After a while, one figures out what the neologisms mean. But the main theme is an attack on all Enlightenment projects that are in any way derived from Rousseau. Like Orwell, Burgess was criticizing the statism and optimism of social democracy (I am using the term loosely), for in his medieval Catholic mentality, the notion that man could be made good and peaceful was a utopian illusion. Burgess himself was a music lover, and Alex’s delight in Beethoven, Mozart, Bach, and other classical composers is probably a hint that Alex represents the daemonic side of Burgess’s own character. One must remember that modern artists could view themselves as the Devil’s minions, for they were usurping priestly authority in their manufacture of imaginary worlds. 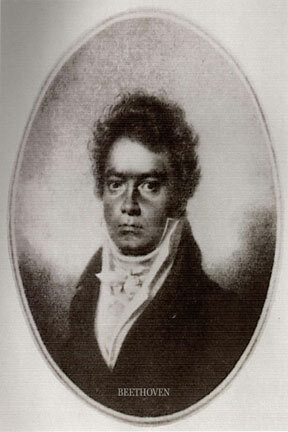 When Alex is subjected to behavior modification, he is outraged that Beethoven’s Ninth is used in the sound track that accompanies pictures of terrible brutality, hence makes him physically ill until he attempts suicide, injuring his brain and removing the vile associations that made him averse to his prior random brutality. He ends up renouncing his romantic adolescence as he enters adulthood and resolves to find a wife.